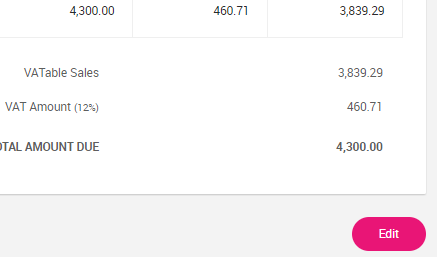 How to fix incomplete transactions in JuanTax? 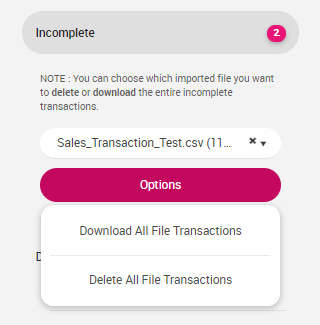 Whenever you import CSV templates into the Transactions module, there might be some cases that instead of your data going through either the Invoice or Bills menu, it would take a detour, and go to the Incomplete section. Incomplete status happen whenever errors occur in the import that needs to be edited in order for it to be fully accepted by the Transactions Module. After importing the file, I encountered this somewhat different view in the Transactions Module. The message states that an error has been detected by the system after the import. The only way to fix this is by either deleting or editing the transactions imported. Proceed by going through the Incomplete sidebar menu. You can simply delete the imported CSV file by choosing the file that you need, and clicking the Options button. Once you click Download All File Transactions, you would be able to retrieve a sample file of the one that you've imported, while hitting the Delete All File Transactions means that you'll be removing your file from the list permanently. Edit the necessary fields and hit Save. After editing the transaction, click the Mark as Paid button in order for the transaction (i.e. invoice) to reflect within the Transactions Module. In the Payment Details section, enter the Payment Date and click Paid. Click the Yes button to continue. Once you've finished editing the transaction, it would now show up within your Transactions Module.